The Association for Library Service to Children (ALSC), a division of the American Library Association (ALA), encourages libraries and community organizations to connect children with diverse books and programming opportunities through Día. Día is a nationally recognized initiative that emphasizes the importance of literacy for all children from all backgrounds. It is a daily commitment to linking children and their families to diverse books, languages and cultures. ALSC is reaching out to libraries and community organizations nationwide to build a national database that showcases all types and sizes of Día programming. We invite you to share information about public programs that you are having at your library or community organization throughout the year to celebrate Día. The information will be searchable on the national Día map and display on the website. Program coordinators will also receive a personalized webpage to help promote their Día events. We also invite you to help us evaluate and track Día on a national level by participating in a brief survey after your Día event(s). By checking “yes!” at the end of this form, you agree to receive the survey to be sent in May. The information you provide in the survey will help us evaluate the success of Día and provide information to help Día grow. ALSC is seeking details about your Día programming. Program contact information must be included in your submission in order to appear in the Día database and map. ALSC reserves the right to edit program information for space constraints and appropriate language. ALSC does not fact check the information you provide. Please double-check accuracy of dates, times and locations. If you are hosting multiple programs and the same location, we have streamlined the process so you can enter them all in one sitting. 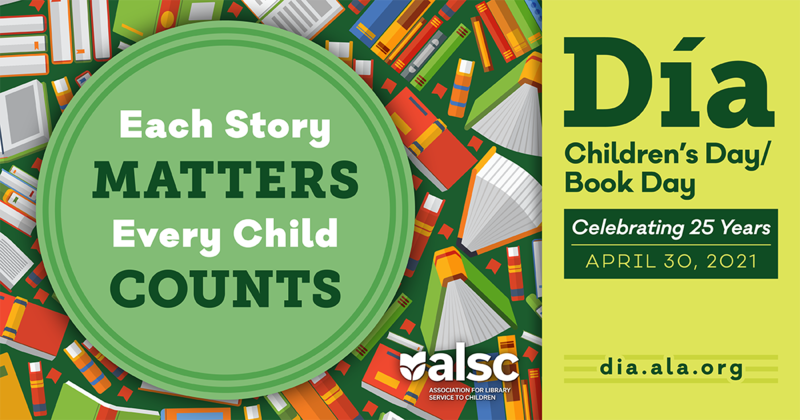 ALSC reserves the right to use your provided program details to promote the Día celebration; through our website, reports, Facebook, Twitter or other appropriate outlets. What was the total number of attendees for all programs combined? If yes, with what type(s) of organization(s) are you primarily working? How did you hear about the National Día Program Registry? This new website is funded entirely by the generous support of the Dollar General Literacy Foundation.